Saint Denis gunsmith is one of the potential side business robberies in Red Dead Redemption 2. In order to perform it, you’ll have to open the locked metal door in the back of the shop. If you play your cards right, you can even finish the whole thing without getting any bounty. If you don’t know how to open the locked metal door and rob the place, keep reading our Red Dead Redemption 2 Saint Denis gunsmith guide. How to open locked metal door at Saint Denis gunsmith? 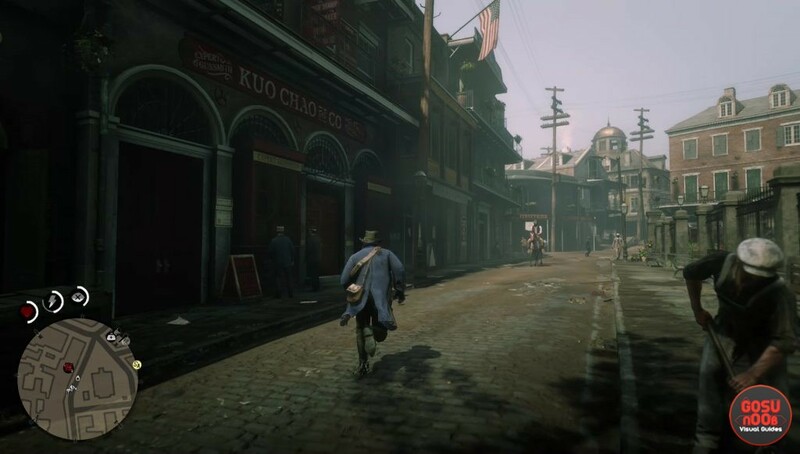 The gunsmith’s shop is in the eastern part of Saint Denis. Once you enter, go behind the wooden screen and knock on the metal door. Approach the store owner and point your gun at him. Instead of robbing the register, select the option to rob the back room. He’ll take you to the security door and open it up. There will be a guard immediately to the left. Pistol-whip him and then interrogate him for info about the illegal poker game being played on the third floor. Take the stairs and enter the room he sends you to. You’ll see another guard there – smack him with the pistol as well. The players will be in shock, scattering around the room. Take the pile of money from the poker table, then question all of them. You might have to threaten them a bit, but they’ll eventually open up the safe in the wall, allowing you to get even more money. Now all you have to do is walk away – since you haven’t killed anyone, you’ll get no bounty. They can’t really report you for robbing their illegal gambling operation, can they? The fact that you don’t have to spend money to make the bounty go away makes this one of the more profitable side business robberies. There’s a way to get behind the metal door by jumping across some rooftops. unfortunately there is nothing there but it is a cool detail to see. I think I only got like 16.94 more from the safe, maybe something else I didn’t notice. There’s a gold nugget on the desk next to the safe though, for anyone that hasn’t already gone through it lol.